One of the many emails to drop into the Sound Impression mailbox recently was a note from Essex-based punky popsters Mr Happy Chainsaw. Their latest EP, It’s Not My Ball, is being released soon, after strong airplay for their single release, Standing There. Now for me, there’s a few things that stand out in the band’s favour. There’s a level of production that helps show this hasn’t been thrown together in a mate’s garage. The lyrics cut through the instruments, and the whole thing is balanced, tight, and technically accomplished. All of which is important, but let’s face it – it’s a bit dull for a music review. Which is why I got it out of the way early. You don’t want to know whether the tracks are professionally produced, you want to know what’s gonna slap your ears and make you smile. Let’s start by sharing how Mr Happy Chainsaw describe themselves. Imagine if you will, a cocktail bar. If you asked for a Mr Happy Chainsaw (they tell me) you’d get “a pinch of Blink 182, Green Day and Alkaline Trio, to which we add a splash of Foo Fighters, a hint of Barry Manilow and Elton John and it all gets topped off with a generous serving of tongue in cheek fun and a dollop of Essex”. Tracks like Standing There and Your Best Friend have a Foo Fighters / Blink 182 vibe, with a solid, driving freshness that propels you along. There are catchy riffs and vocal hooks, all of which make their music something you can listen to over again. There’s also clearly a more considered, thoughtful side to the guys. When listening to their tracks (especially Leaving Town) there’s a definite story running through the songs. I hope it’s not all from personal experience, because if it is, well… hard luck, dudes. There’s … an intelligence behind the music – trust me, I don’t always get that impression – and that appeals to me in a way that much of today’s one-dimensional blandness simply can’t. Overall? A Sound Impression approves, and suggests you go to http://www.mrhappychainsaw.com and see for yourself. Melody Jane is the latest single from The Magic Es, a four piece guitar rock band from Norwich. The Magic Es have built up a strong following, and their music is starting to gain traction on radio stations worldwide. The guys tell me that reviews and feedback has been favourable. So what does A Sound Impression think? I listened to the track before reading any of the marketing guff that always accompanies singles releases. I tend to do that to see if my thoughts match what the bands claim as public opinion. In this case…. yes, it does. There’s a definite sense of energy and thought behind the track, and one of the band’s main influences – The Undertones – comes through very strongly. I love early Undertones tracks, and as such, this was sending me all the right notes. On the downside, I thought the chorus was a little weak, having no real singalong hook line. The melody drops into a minor key for the hook, which rarely works in an uptempo pop/rock song. That having been said, there’s more than enough here to make me want to hear some more of their tracks, and the benefit of doubt clearly deserves to fall in their favour. Go take a listen and see what you think! Citing influences such as Smashing Pumpkins, Radiohead, The Cure and New Order, Wake Up Leo is an up and coming project fronted by Leo Ulph, backed by a very tight indie/pop band from the South East of England. Leo and the boys put out a very polished, professional sound, with hints of the New Romantics of the eighties mixing in with a definite pinch of nineties chart Britpop. I was sent five tracks, including their latest release, Friends. Of these, my favourite was The Race We’re Running, a poppy number with an instantly memorable riff and a feel that reminded me of Ladyhawke’s self-titled first album. Of the others, Higher is more anthemic, with a Verve / Coldplay style. Cellophane brings the Housemartins into the frame, whilst Friends brings a feel-good message and feel that wouldn’t have been out of place in the eponymous US sitcom that bears the same name. The final track, Nowhere To Go, is probably the most individual track I heard, more difficult to pin to any genre, and I suspect closer to their own style than the other songs. The guys in the band (Leo, Erim, Paul, Tom, and Russ) know their stuff. The tracks are well formed, polished, and laid down well. 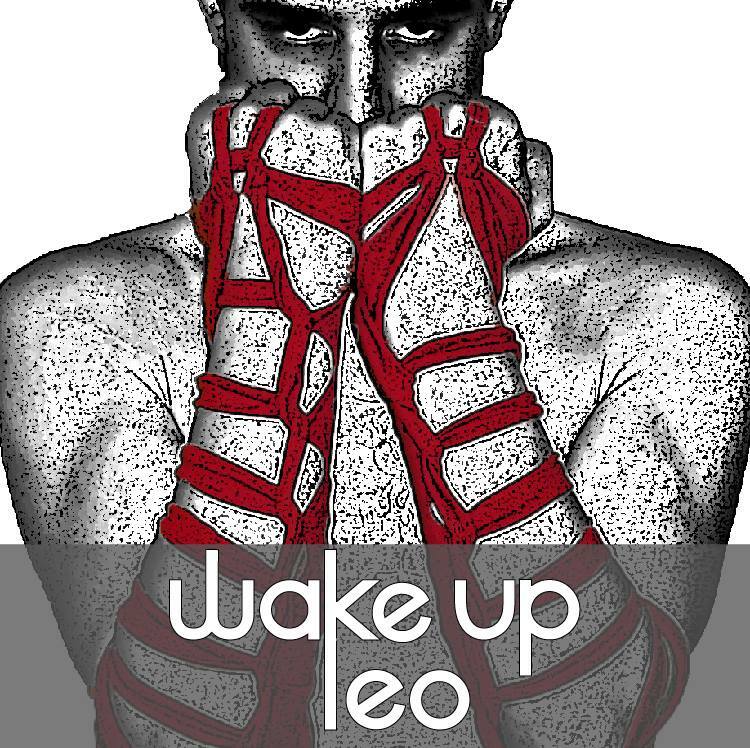 There’s a commercial edge to the material that comes over clearly and, given the right exposure, I can see Wake Up Leo going places. One thing bothers me though. There’s a sense in which the band, and the songs, are…. well, a little too commercial, a little too nice. Were I to throw a word of advice to them, I’d like to see a little more energy and edge in their music, because it’s a cut-throat business and unless you stand out, you run the risk of being categorised and then forgotten.